I’m going to keep the blog more active, now a few more people have stopped by (thanks as always, indiegames.com, and others who covered the trailer.) Hello to any new readers who’ve stopped by, welcome to superflat world! 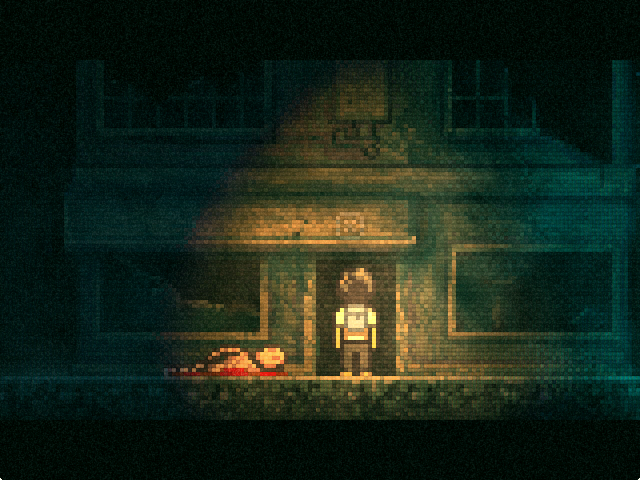 You can also see the new lighting stuff going on, the improved grain and contrast etc, which I’ve been spending time on. It’s times like this you look back and realise some progress has actually been made! Lone Survivor official trailer debut! My entry into Ludum Dare 48. It’s a game about my dad, set in Liverpool of the 60’s where he’d recently emigrated to. Made in under 48 hours. I’m actually pretty happy with how it turned out, although I appreciate it’s fairly personal and may not have the same weight for other people! I certainly giggled a lot while making it, partly from exhaustion though maybe. It’s written in RPGMaker 2003, so it’s Windows only I’m afraid. 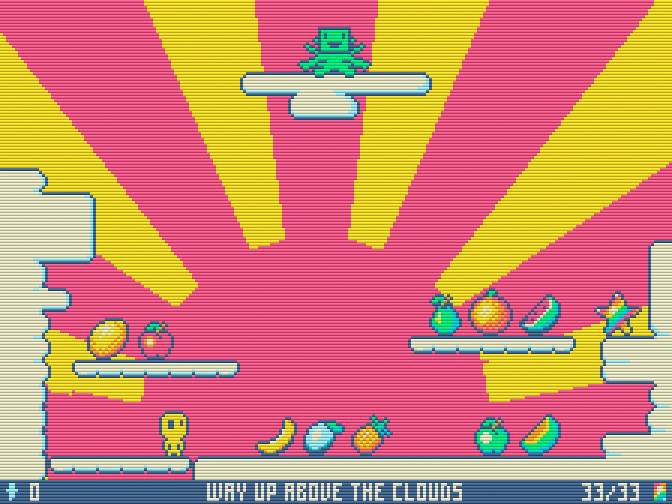 I’ve based the visuals on a ZX Spectrum with a slightly tweaked palette to make it more digestible. Very happy to have something finished to share with you guys again though! 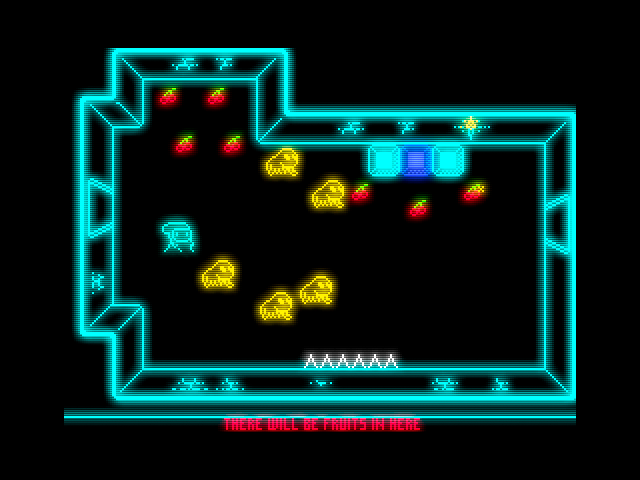 Click the image to go to the game download page. 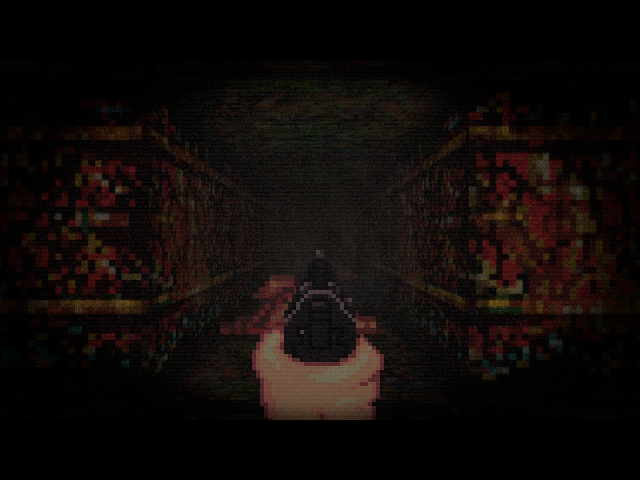 I forgot to mention this one, it’s a sort of horror-antithesis of Lone Survivor, called LS3D. Whereas that game is focussed on the psychological aspects, this is a purely visceral thriller, with I suppose something of a back-story to the main game thrown in. Off on holiday today, but I’ll leave you with a screenshot showing the new lighting system (notice the grading across the screen), the redrawn art (I’ve done a second detail pass on all the art) and the new area (in fact the first area I began two years ago.) Also you can see the item combination system here. 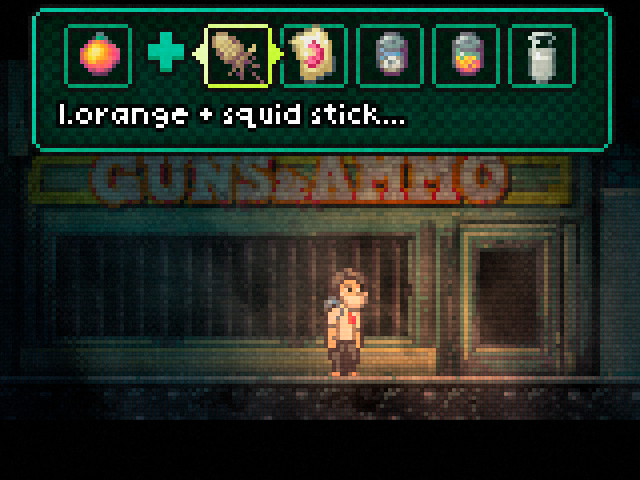 I wonder what irradiated orange + squid stick tastes like? First of all I’d just like to finally give Brian Keong, the Rainbow Star Challenge winner, his prize. Nearly half a million players have entered Soularis now, and it makes me so happy. 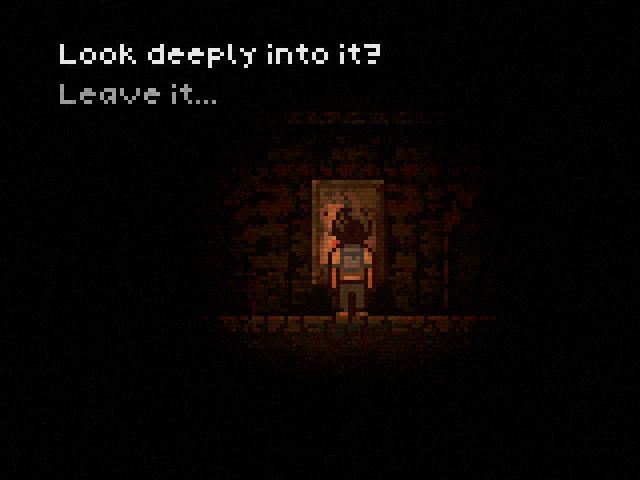 I’m planning to do a bit more of a post-mortem of the game at some point, and I’d also like to share some more press and interview links about it, as it seems to have had a good buzz. 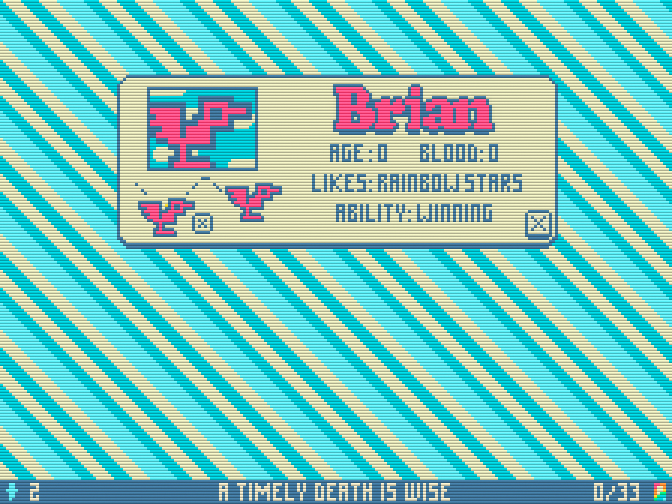 Brian, I almost broke the game doing this, so I hope you like him! 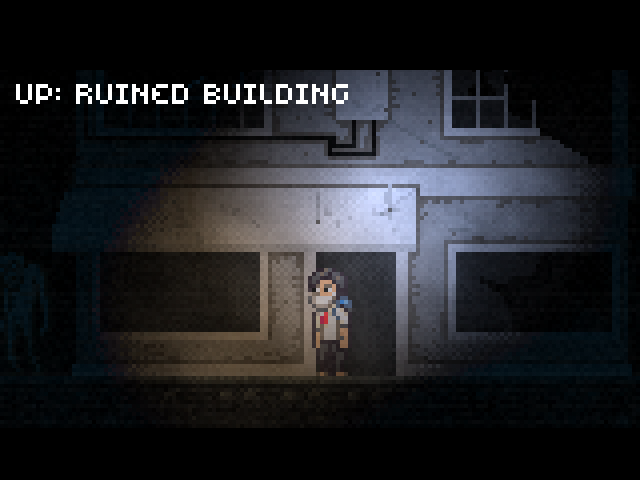 I managed to get a solid build of Lone Survivor into Indiecade this year, one of the main indie game competitions along with IGF. I worked incredibly hard on it for the two months leading up to the deadline, almost going as insane as the protagonist. It probably helped the atmosphere in some ways! The music is by myself and Silver (Sonic & Silver), the VIP mix of Rocket Launcher on Virus Records. It’s not used in-game, for those that hate it (it’s a polarising one.) There’s already 22 original tracks in Lone Survivor, and it’s going to give me a lot of pleasure to finally share them with you guys. Since submitting to Indiecade I had a little time off playing Yakuza and so on, but I’ve now started back on full-time work on it. It’s getting quicker to make as what I want to do with it is getting clearer in my head. It’s been an exhausting several weeks of crunch on the game, but progress has been tangible, so it’s been a lot of fun too. And after all that I’ve decided not to enter at this point. 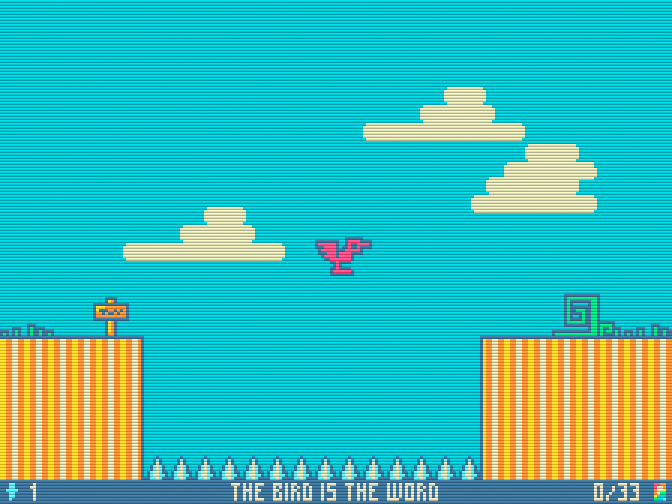 Although I’m super excited about the way it’s going, I don’t think I want to reveal plot details yet, and I want the game to be close to completion before submitting it anywhere… So my plan is now to get it finished for IGF instead. We’ll see if that pans out! Anyway, this means I’ll finally have a little time to catch up on all the smaller things I’ve been neglecting, like the ongoing saga of the Rainbow Star Prize, the writing of blogs and so on. 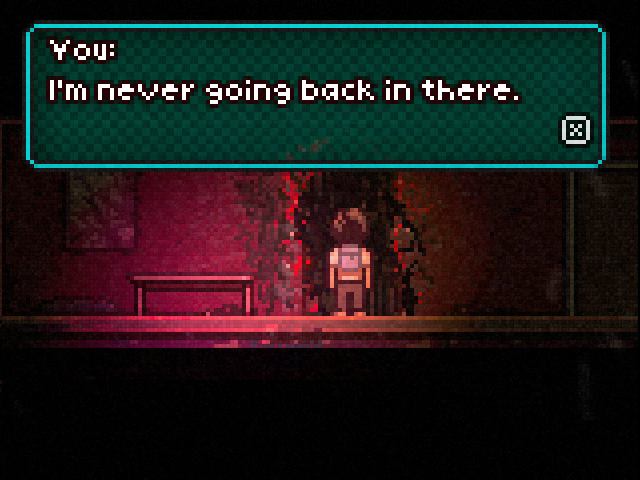 I’ll be doing a more detailed report of where it’s going at some point soon, and I still plan on doing a behind-the-scenes tour at some point, showing the tools I’ve used to develop Lone Survivor. 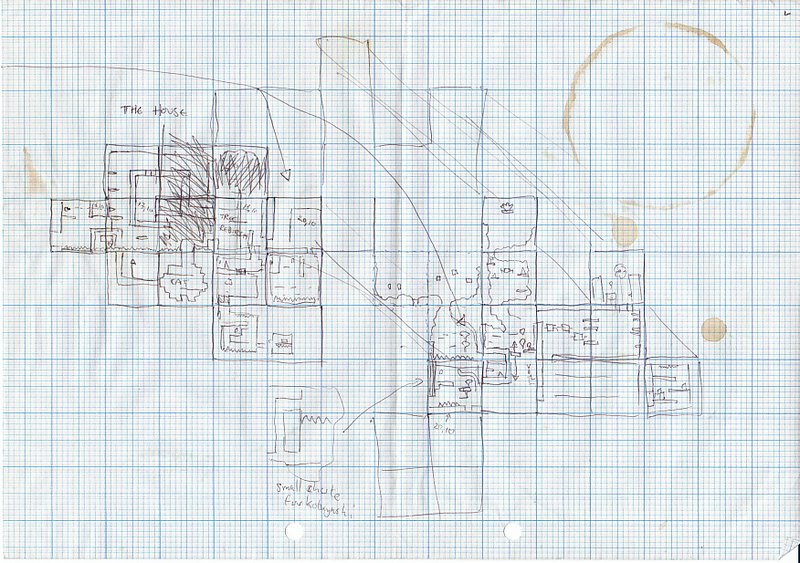 The plan (as I mentioned in the quote-unquote interview) was to work on Legend of the Starmen with an aim to heading for an IGF entry. Well, just like the last time I went indie, I changed my mind once I actually had the space and time to think about it. I still want to make LotS, and it’s high up on the list… But it’s a big game, as big as Lone Survivor, perhaps. It’s coming on really well! I’m planning on entering it into Indiecade, either at the end of this week, or two weeks after that if I miss the deadline. 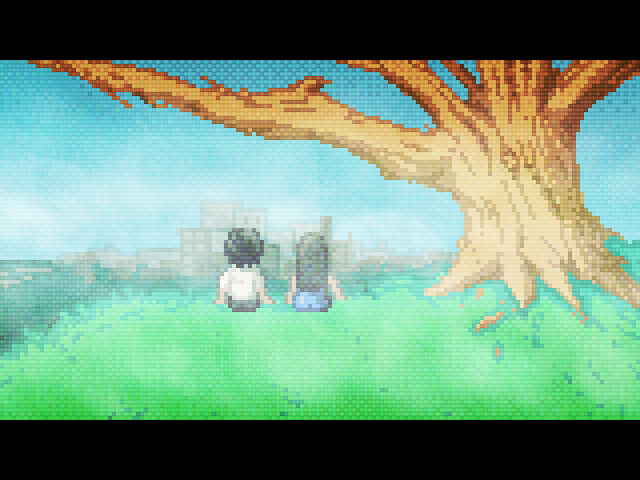 I’m focussing on making the first world really fleshed out and finished, the intro and outro, polish and bugfixes and a total overhaul of the audio. 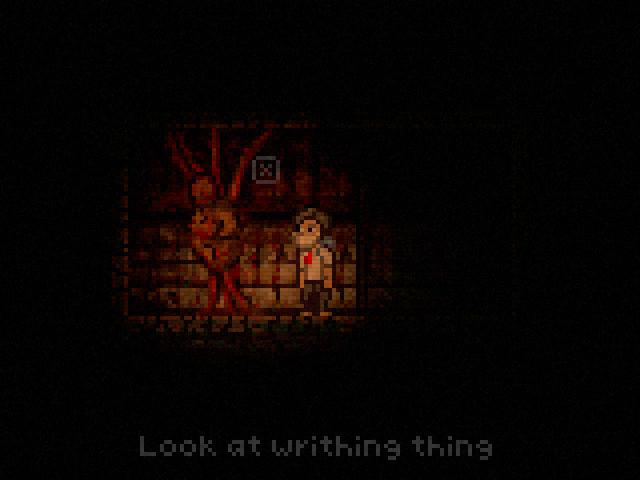 Save games, title screens, some more puzzles and survival elements, a new monster, it’s all happening so fast! 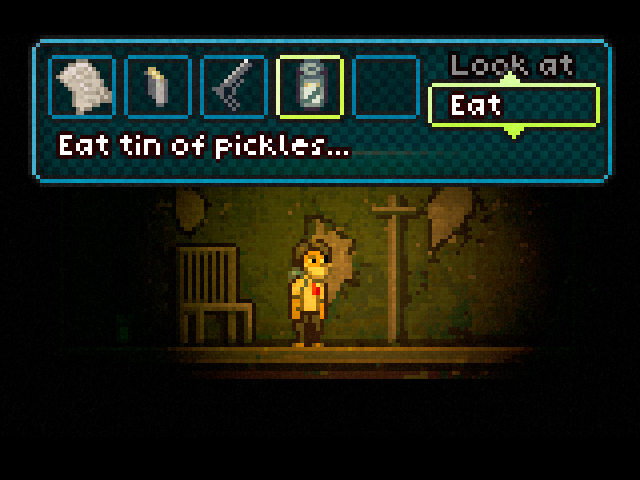 The names are procedurally generated and this one just happened to come up. There’s also a background story to it which I won’t reveal yet, suffice to say it’s gonna have more than a nod to a certain other glowing movie, but hopefully turn things on their head a bit. According to Anthony Carboni at least, I like to ‘flip the script’ like that. A massive thanks out to the 270,000 players of Soul Brother, and the many new reviewers and podcasts which have covered it. I really am humbled that so many have enjoyed something so silly of mine. Thanks to Terry for helping me along the way so much, and thanks to all the indies who reside in a certain forum I frequent for all their incredible work helping me test and improve the game. You all know who you are, and I can’t thank you guys enough! Also to Brian Keong, I’m sorry I haven’t forgotten your sprite, I’m just really swamped getting ready for Indiecade, so expect it next blog post, sorry! So here is a long overdue postmortem of Soul Brother’s release. It’s been a great couple of weeks watching it spread slowly around the net, and I think overall the reaction’s been fairly positive on the whole. 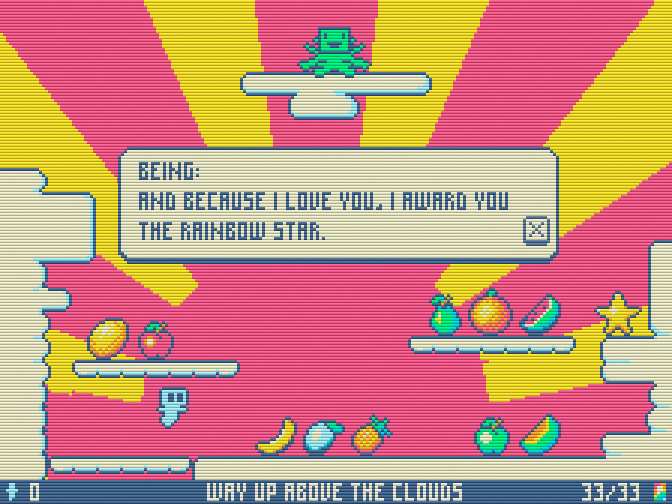 First of all, I’d like to announce the winner of the Rainbow Star Challenge, Brian Keong. He completed it on the second day I believe. The nice thing is I designed the online scoring system to show the Rainbow Star achievers quite easily – if you get over 2 million, you didn’t die and got all the gems in decent time. Brian has requested a bird character, who I’ll post at a later date (I want to do a special card for it like the game ones.) Congratulations to him and all the others who flew so high! I only really have time to share some of the reactions for this week’s blog – I want to do a proper postmortem at some stage, and show the tools I used to make it. I did talk about them a little on this interview I did with quote-unquote. I really like that blog and wish more people would read it, so thanks to Steve Cook for that. They also have the maps for Soul Brother and other little trinkets on there. 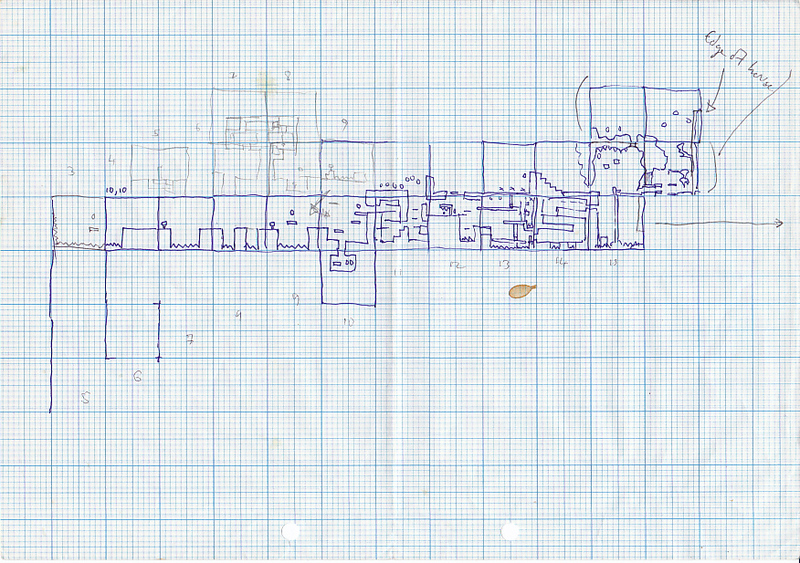 Here are direct links to the maps: Soularis West, Soularis East. See if you can spot where it’s changed! I won FREE INDIE RAPID FIRE over at bytejacker, which I was super happy about. I love those guys, and my wife digs Anthony’s t-shirt selections. Their review of the game in the previous episode. ithamore’s lovely review on the TIGsource front page. Good old indiegames.com, who’ve supported my work a lot over the years, so thanks Tim & Mike! Dangercade’s new (to me) and cool. Terry says ‘go play Soul Brother’. And so does the wonderful Rob F.
Until next time folks, thanks for playing!